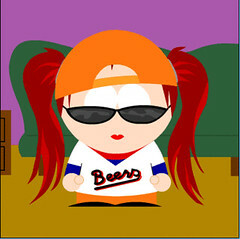 This is what I would look like in South Park. Ahh, April, you're a funny gal. Thanks for the linkage! Go make your own - from the left menu, click Exklusiv, then SP Studios.